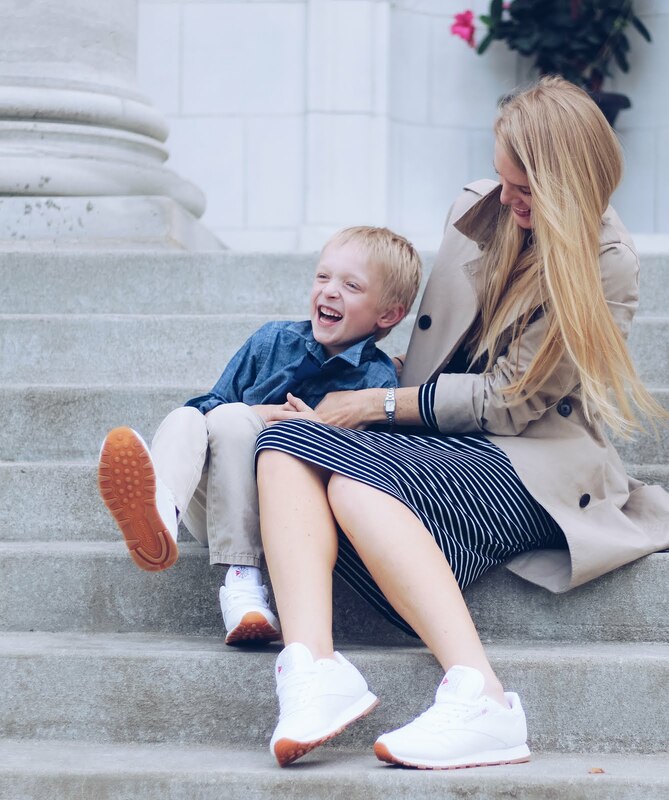 I have been familiar with LuLaRoe for the last several years, but it never felt like me or my style. Printed leggings are just not my thing, and I left it at that. When my friend Karen of @lularoewyatt contacted me about a possible collaboration those were the words I uttered..."loud printed leggings are not my style". Karen assured me that she had so many pieces to pick from that my style or anyone else's could be accommodated. Talk about a stereotype that was oh so wrong. LuLaRoe has so much more to offer than leggings, but let me tell you the leggings are amazing, too! This post contains three pieces: lace joy, irma tee, and leggings. 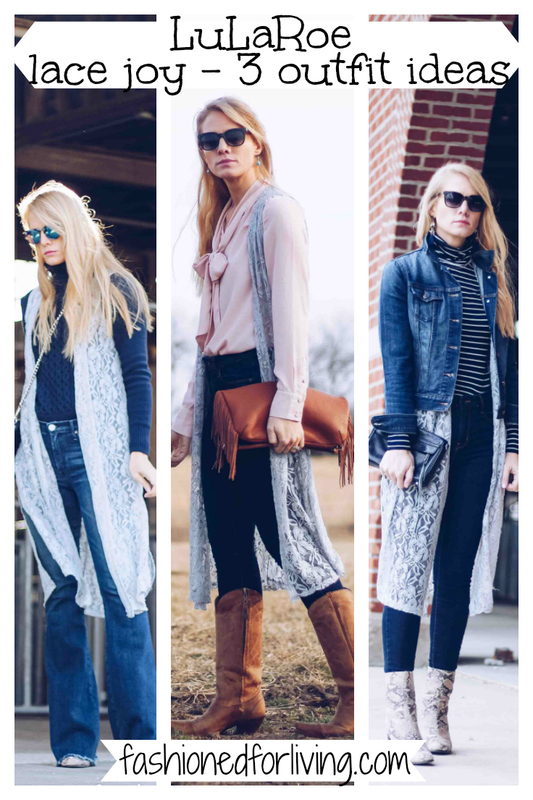 I've styled each piece in three different outfits to not only shatter my own stereotypes but yours too, and if you already know and love LuLaRoe hopefully you come away with some fresh styling ideas!! I was first draw to the this piece, the LACE JOY. 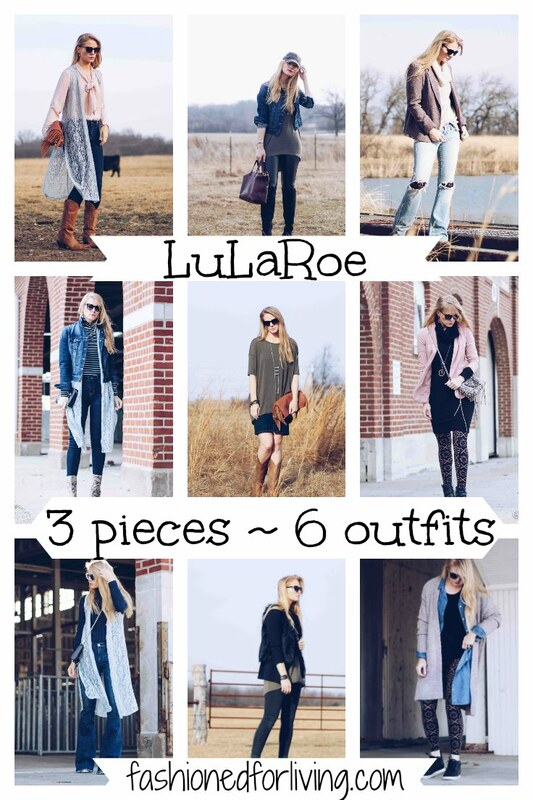 It is a truly unique LuLaRoe piece, and can be styled so many ways from casual to dressy. I'm a jeans kind of girl, so pairing this more feminine piece with my staple skinny and flare jeans really upped the style points. Lace is a big trend of the moment, but to me this piece is classic and timeless...something I will be wearing for years to come. Can't go wrong with the Lace Joy!!! I am wearing a size medium. The IRMA TEE is so very versatile!! I tend to size up in tees for a more oversized look (to not highlight my mum tummy), but when I do that the neck opening is often way too big for my liking! This tee gives me the oversized look I love, but doesn't reveal my girls or lack there of!! 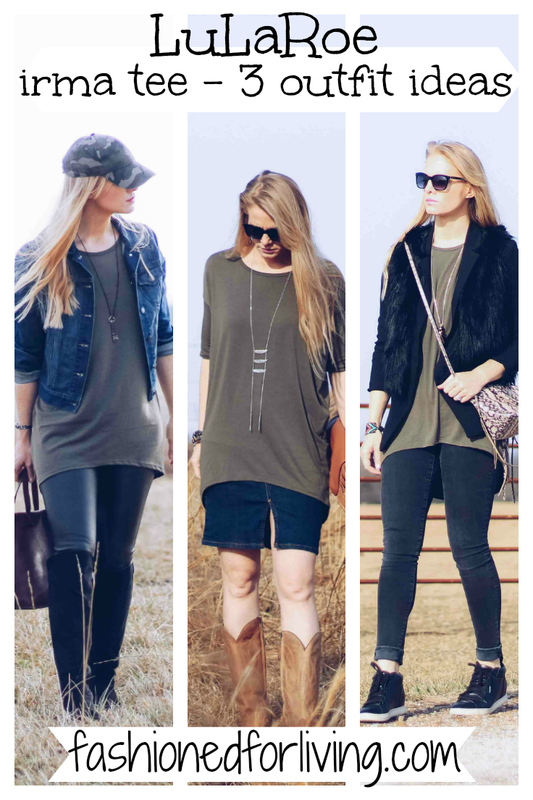 It is a true tunic length that works so great with leggings. The rounded front is so flattering to your shape. I LOVE it over a denim pencil skirt for a ruffle or peplum like effect. This tee could work as dress for shorter gals or evening as a super cute swim cover up. I am wearing a size extra small. Karen has lots and lots of uniques style to pick from. Karen and her husband have shared their LuLaRoe success with others and donate a portion of every purchase to charity. Grab these or similar pieces by connecting with Karen HERE . Stay tuned for future posts highlighting each outfit in the coming weeks! Comment below what your favorite look is. What are your LuLaroe must haves or what's another style I need to try? See the February 27th photo for all the giveaway details! !